Sanja Iveković, Lady Rosa of Luxembourg, 2001, gilded polyester, wood, inkjet print. Installation view at the 38th EVA International 2018. Photo: Deirdre Power, Courtesy the artist and EVA International. 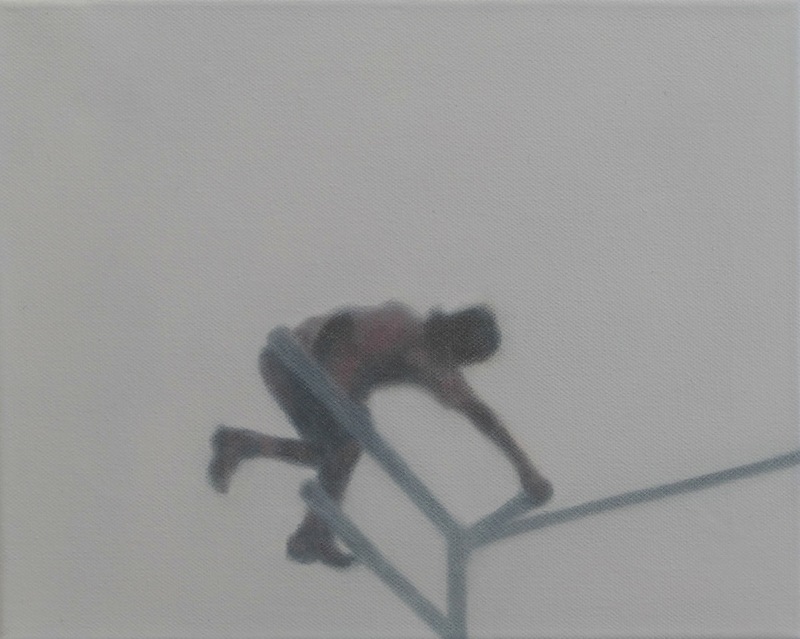 Ian Wieczorek, Crossing #2, 2018, Oil on canvas, 25 × 30 cm. Courtesy the artist. 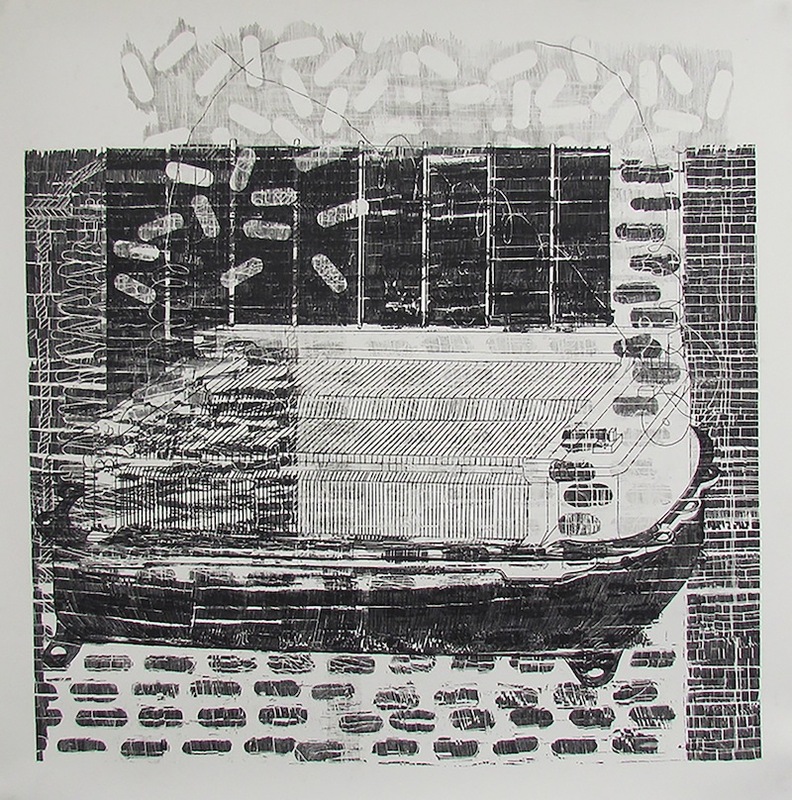 Julie Merriman, Compiler IX, 2016 Typewriter carbon film and carbon on paper 120 x 120 cm. Courtesy of the artist. 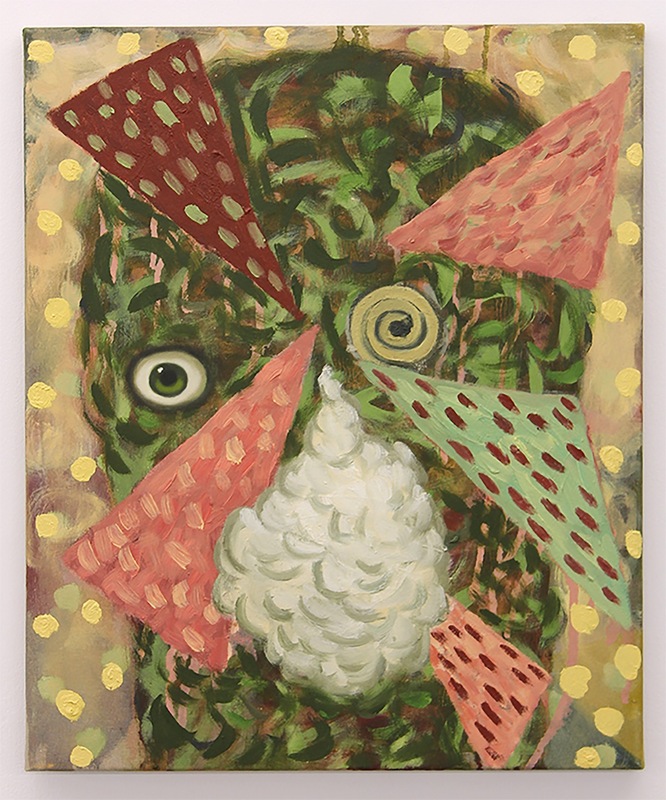 Kevin Mooney, Peeper, 2016 Oil on canvas 60 x 50 cm. Courtesy of the artist. Isabel Nolan, Foreground: The Light Poured Out Of You, 2017, mild steel, paint, fabric, dye. 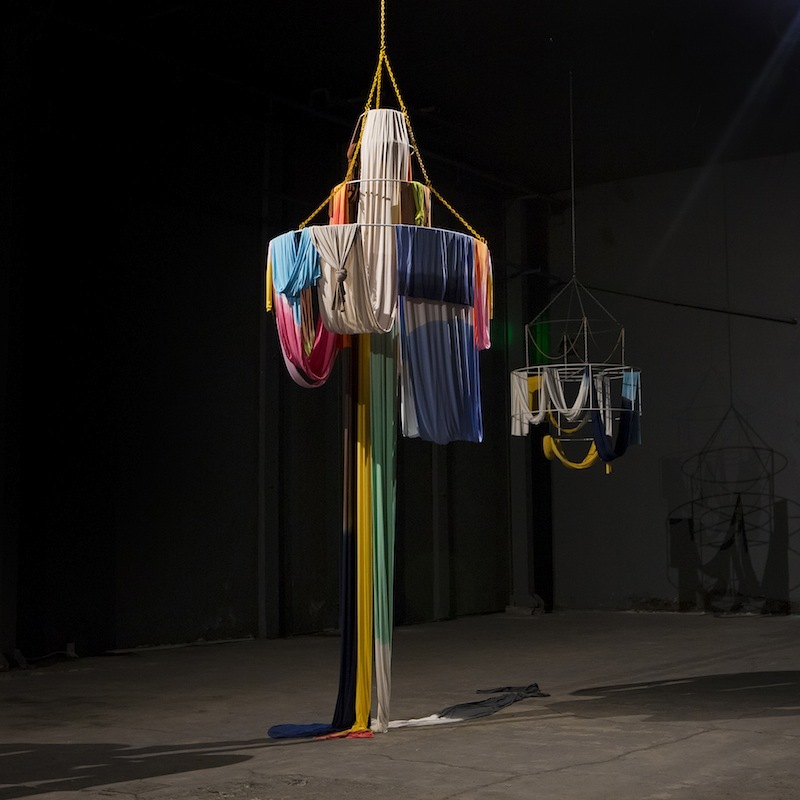 Background: Partial Eclipse (Above), 2017-2018, mild steel, paint, fabric, dye, installation view at EVA International 2018. 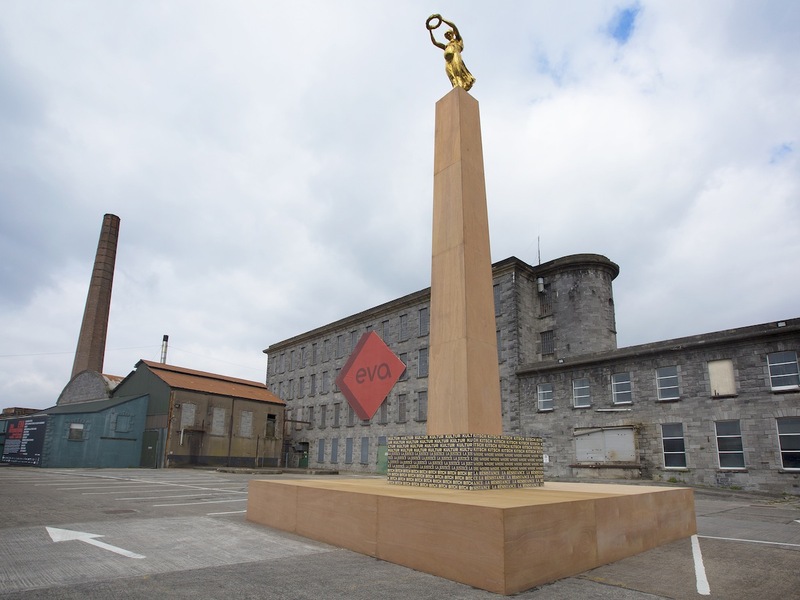 Photo: Deirdre Power, courtesy the artist and Kerlin Gallery, Dublin, and EVA International. 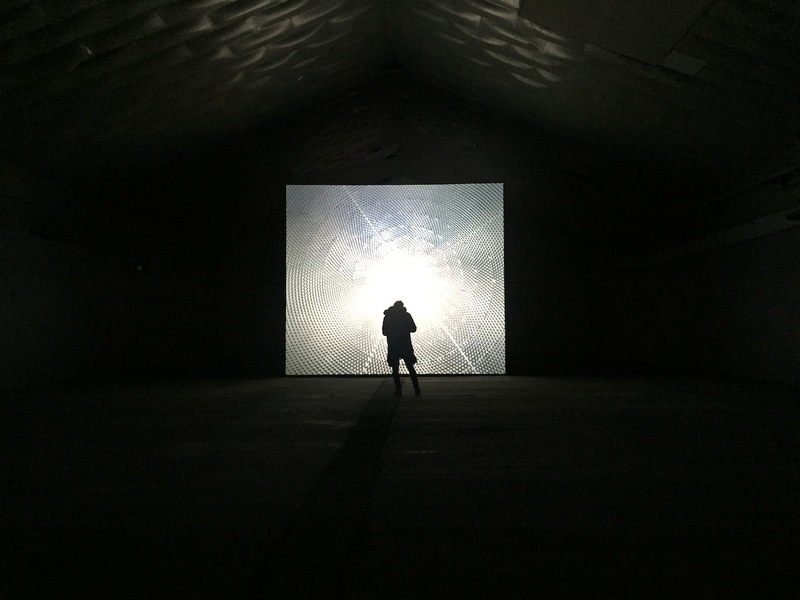 John Gerrard, Solar Reserve (Tonopah, Nevada), 2014, Simulation Dimensions variable, installation view at the 38th EVA International 2018, Photo: courtesy of the writer. 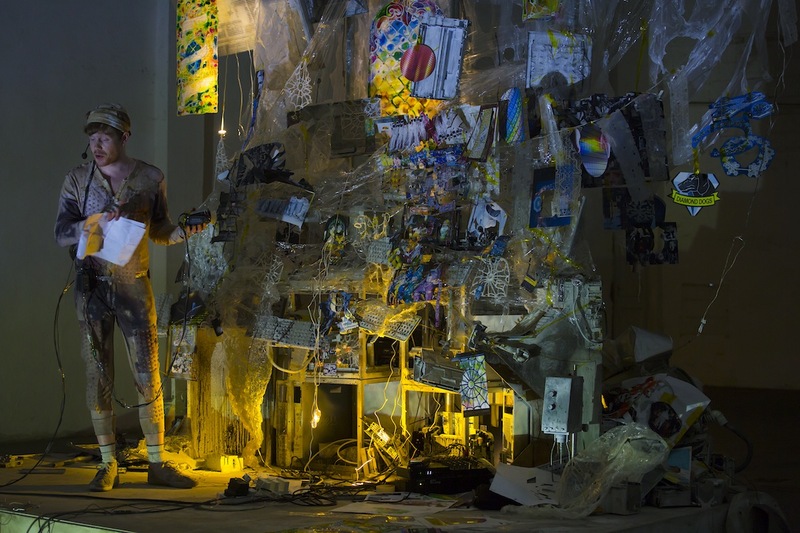 Sam Keogh, Integrated Mystery House, 2018, performance and mixed media installation. Performance at at the 38th EVA International 2018. Photo: Deirdre Power, Courtesy the artist and EVA International. Ramon Kassam is an artist from Limerick City.